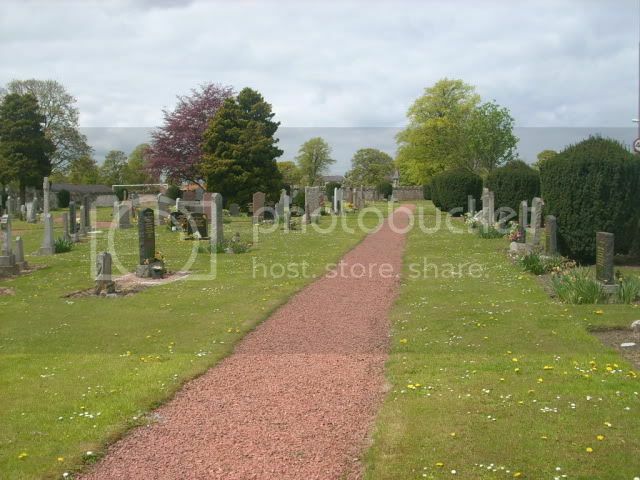 There are a churchyard and a cemetery in Pencaitland, the churchyard can be found round the church which is in the heart of the village and the cemetry is on the outskirts of the village beside a modern housing development. At the far side of the cemetery there is a hole in the wall which takes you through into an older area with some old grave stones. 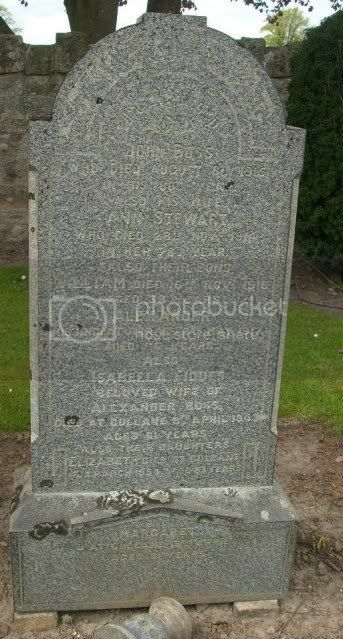 There is one WWII CWGC stone, but there are a few family WWI, WWII and post war stones in the cemetery. 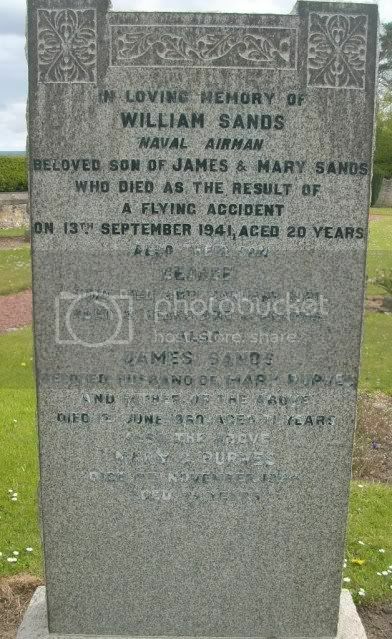 In loving memory of William Sands Naval Airman beloved son of James and Mary Sands who died as a result of a flying accident on 19th Sept 1941 aged 20 also their son George who died 20th Jan 1921 aged 3 years and 4 months also James Sands beloved husband of Mary Purves and father of the above died 1st June 1960 aged 71 also the above Mary Purves died 9th Nov 1984 aged 79. 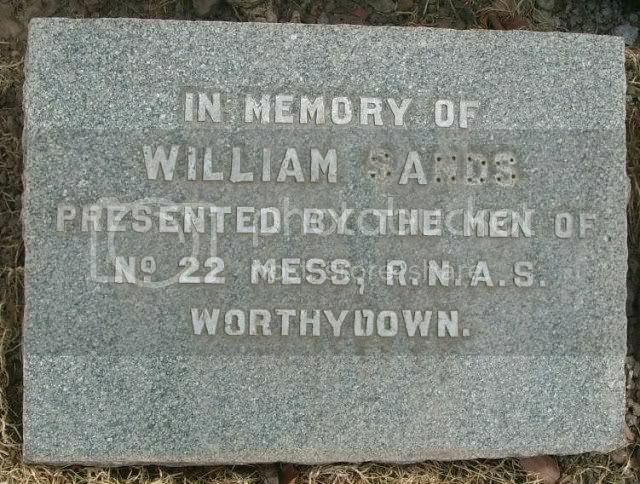 In memory of William Sands, presented by the men of No 22 Mess R.N.A.S Worthydown. It would appear that Naval Airman 1c SANDS, William of 755 Sqn and Py/Ty/Act/Sub Lieutenant (A) DOWLING, John A RNVR of 755/756 Sqn were flying a FAA, Jackdaw when it crashed into a street in Stratford on Avon, killing both air crew. Additional information: Son of Edwin and Lilian Dowling, of Acton. Grave/Memorial Reference: Section M, Row W, Grave 71. Erected by Robert Anderson in loving memory of his son William who died 9th March 1918 through illness contracted at Salonika while serving in the A.S.C aged 26 also his wife Annie Burnside who died 7th July 1935 aged 82 also the above Robert Anderson who died 23rd July 1936 aged 79. 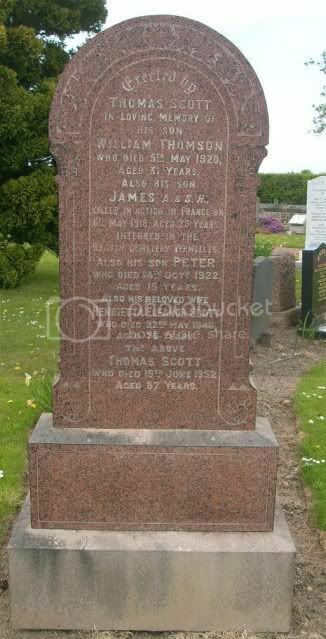 I can not find him in the CWGC or SNWM lists, but he is mentioned on the Pencaitland War Memorial. I can only assume that he had been discharged from active service due to his illness and died later. This will require some further "digging". Additional information: Son of the late John and Ann Boss, of Hopetoun, South Queensferry; husband of Isabella Fieldes Boss, of The Tower, Gullane, East Lothian. In memory of John Boss who died August 6th 1915 in his 80th year also his wife Ann Stewart who died 28th November 1914 in her 78th year also their sons William died 16th November 1916 aged 33, Alexander missing at Arras 3rd May 1917 aged 35 also Isabella Flodes beloved wife of Alexander Boss died at Gullane 8th April 1949 aged 91 also their daughters Elizabeth died at Gullane 6th March 1954 aged 83, Margaret died at Gullane 13th April 1964 aged 81. 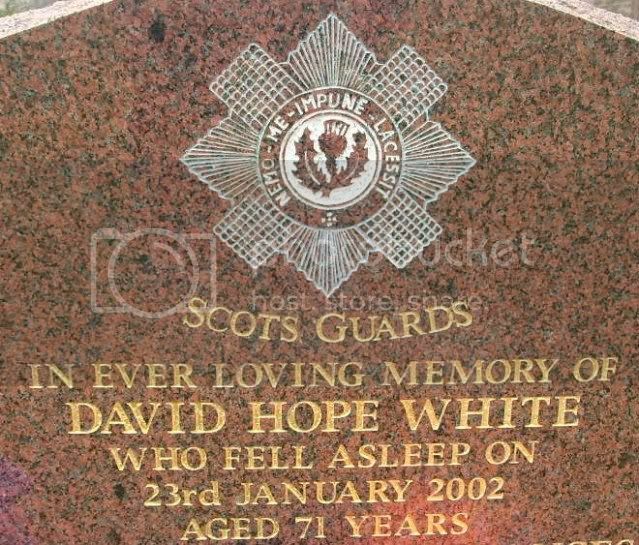 Not remembered on the Pencaitland War Memorial. Erected by Peter Gillies in loving memory of his son John who died 15th Feb 1919 through illness contracted at Salonika with the R.F.A aged 19 also his wife Isabella Hannay who died 13th July 1930 aged 59. 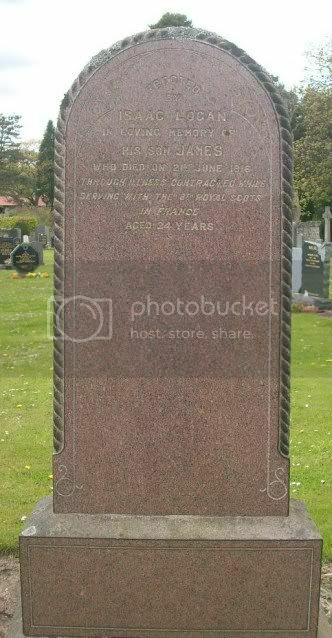 I can not find him in the CWGC or SNWM lists, I can only assume that he also was discharged due to ill health and died later. He is remembered on the Pencaitland War Memorial. 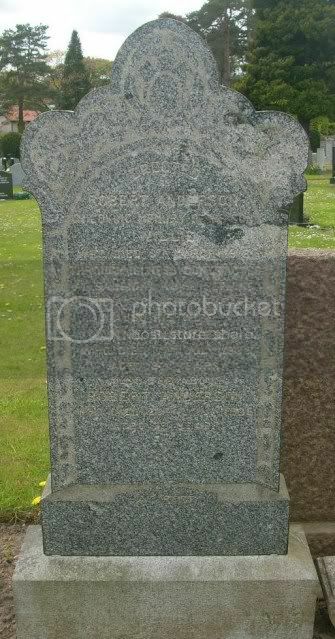 Someone else did some "digging" for me, and I thank them for the following information from John's death certificate. 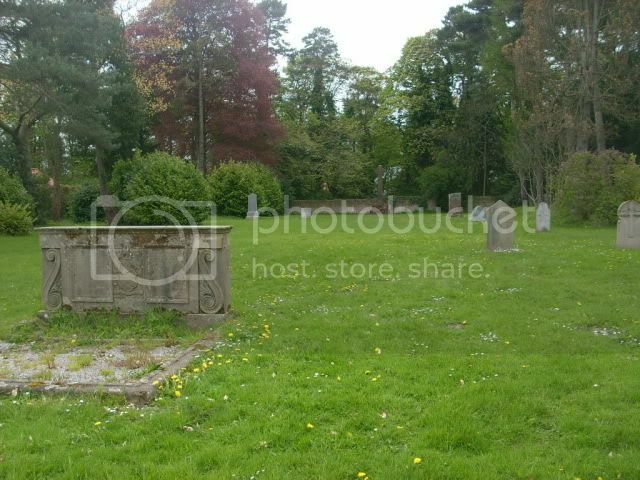 Registered: 1919 February 17th at Pencaitland; P Cossar, Registrar. 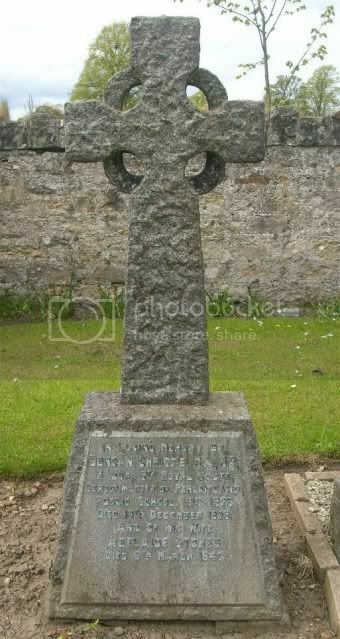 Erected by Isaac Logan in loving memory of his son James who died on 21st June 1916 through illness contracted while serving with the 8th Royal Scots in France aged 24. I can not find any record of him in the CWGC or SNWM lists. He is remembered on the Pencaitland War Memorial. Again I can only assume he was discharged due to the illness contracted before he died. More "digging" required here I think. Unit Text: "B" Coy 11th Bn. 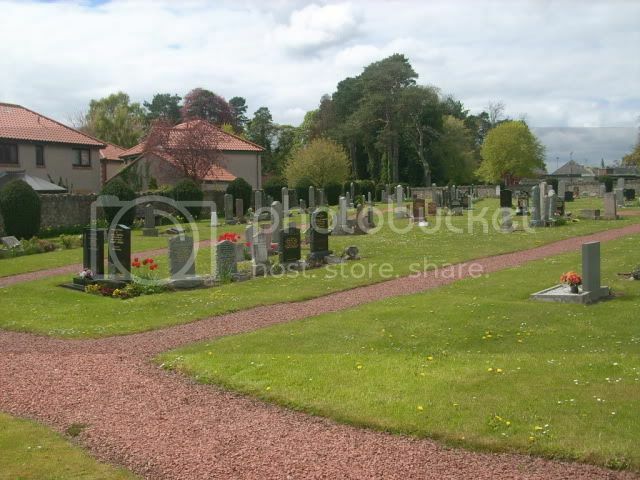 Additional information: Son of Thomas and Eleanor Scott, of Toll House, Pencaitland, East Lothian. Grave/Memorial Reference: III. H. 13. Erected by Thomas Scott in loving memory of his son William Thomson who died 5th May 1920 aged 31 also his son James A&SH Killed in Action in France on 6th May 1916 aged 20, interred in the British Cemetery Vermelles also his son Peter who died 14th October 1922 aged 15 also his beloved wife Henrietta Eleanor Scott who died 22nd May 1946 aged 76, the above Thomas scott who died 19th june 1952 aged 87. He is remembered on the Pencaitland War Memorial. Additional information: Son of the late David and Margaret Bookless Brown Wilson. 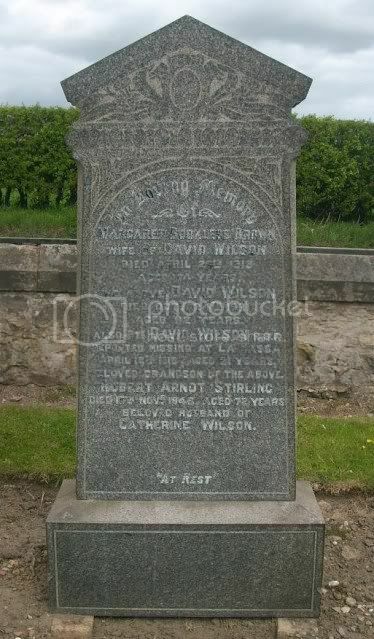 In loving memory of Margaret Bookless Brown wife of David Wilson died April 26th 1913 aged 74, the above David wilson died October 24th 1921 aged 82, also Pte David Wilson R.S.F reported missinf at La Bassa April 12th 1918 aged 21 beloved grandson of the above. 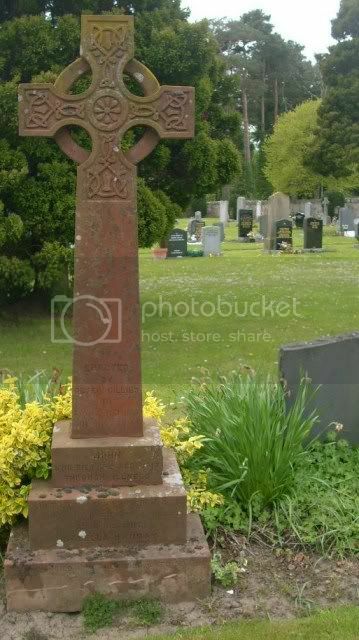 Robert Arnot Stirling died 10th Nov 1946 aged 72 beloved husband of Catherine Wilson. 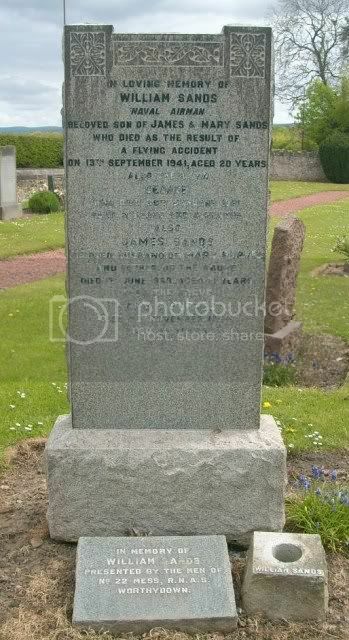 He does not appear to be remembered on the Pencaitland War Memorial. 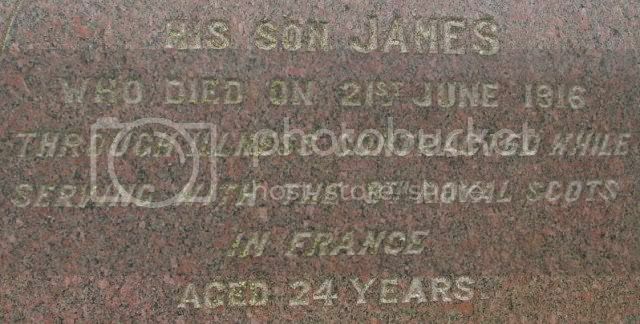 Additional information: Son of David and Jane Johnston; husband of Amy Johnston, of Liverpool. Grave/Memorial Reference: 1. C. 15. 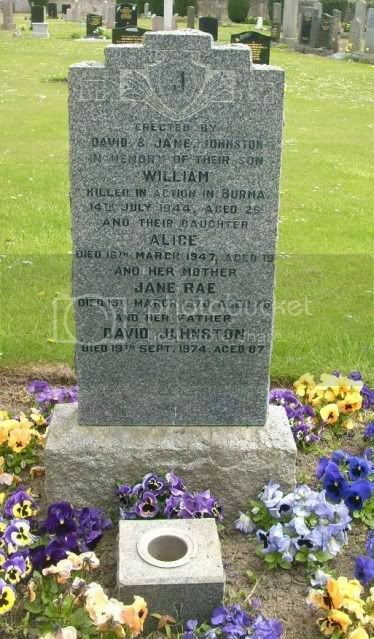 Erected by David and Jane Johnston in memory of their son William Killed in Action in Burma 14th July 1944 aged 26 and their daughter Alice died 16th March 1947 aged 19 and her mother Jane Rae died 13th March 1970 aged 76 and her father David Johnston died 19th Sept 1974 aged 87. 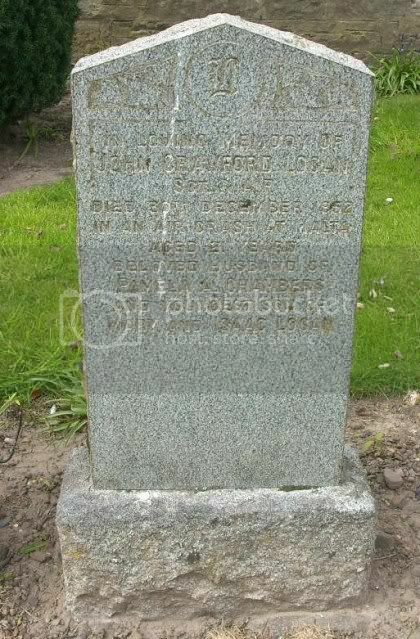 In loving memory of Duncan Christie M.A, J.P Major 8th Royal Scots, School Master of Pencaitland Public school 1913-1929 died 19th Dec 1929 and of his wife Adelaide Stokes died 6th March 1947. In loving memory of John Crawford Logan Sgt RAF died 30th December 1952 in an air crash at Malta aged 21 beloved husband of Pamela A Chambers and youngest son of Mary and Isaac Logan. The following is from the "Aviation in Malta" website. Civilian casualties are reported to be a 60-year-old Maltese woman severely injured and in danger of losing her life, a 70-year~old man slightly injured, and a young girl suffering from minor injuries. 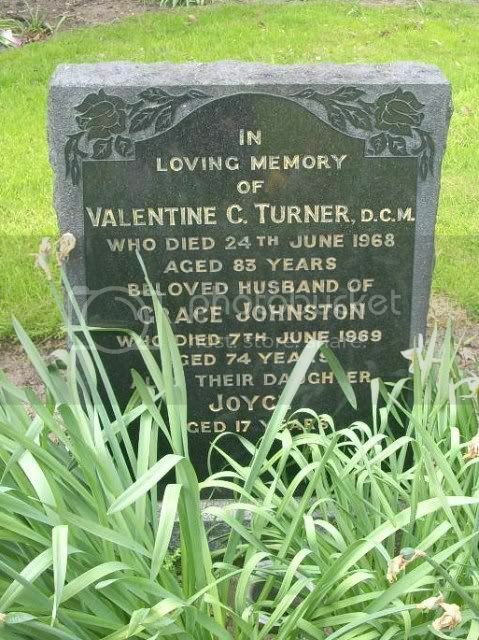 In loving memory of Valentine C Turner DCM who died 24th June 1968 aged 83 beloved husband of Grace Johnston who died 7th June 1969 aged 74 also their daughter Joyce aged 17 years. 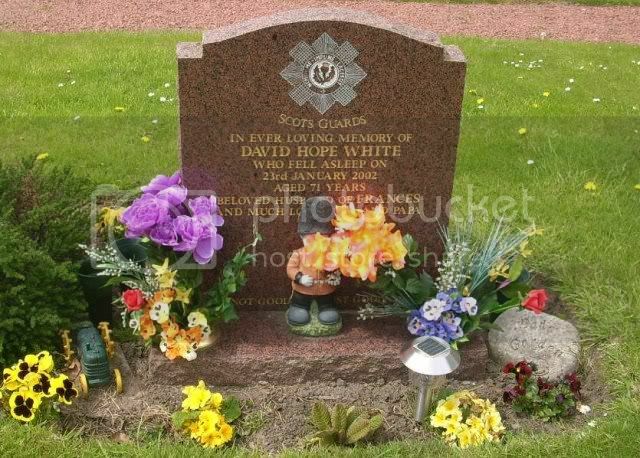 In ever loving memory of David Hope white who fell asleep on 23rd January 2002 aged 71 beloved husband of Francis and much loved Dad and Papa. 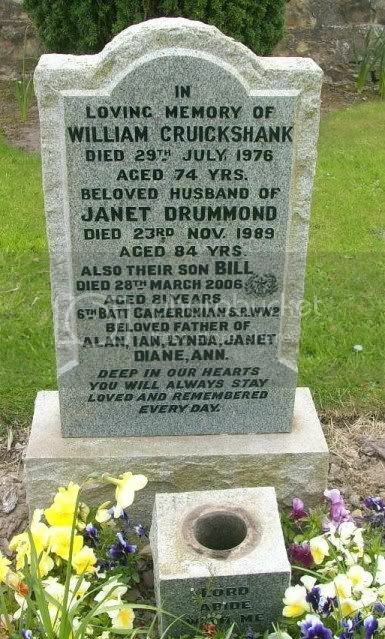 In loving memory of William Cruickshank died 29th July 1976 aged 74 beloved husband of Janet Drummond died 23rd November 1989 aged 84 also their son Bill died 28th March 2006 6th Batt Cameronian S.R WW2 beloved father of Alan, Ian Lynda, Janet, Diane, Ann. "Deep in our hearts you will always stay, loved and remembered every day".